A WOMAN was beaten with a baseball bat during a terrifying burglary in her home outside Ballynahinch last week. The victim and another woman had their hands and feet bound with cable ties and both were locked in rooms in the house at Dunmore Road. A four-year-old boy was also in the house but was uninjured. Three masked men forced their way into the house last Friday evening and fled after ransacking the property. The women, who are in their 30s, and the child were taken to hospital. One of the women sustained injuries to her head and body. Her husband said she had been left deeply shocked and in pain and added that the family, who are from Lithuania, would “never stay another night in that house”. 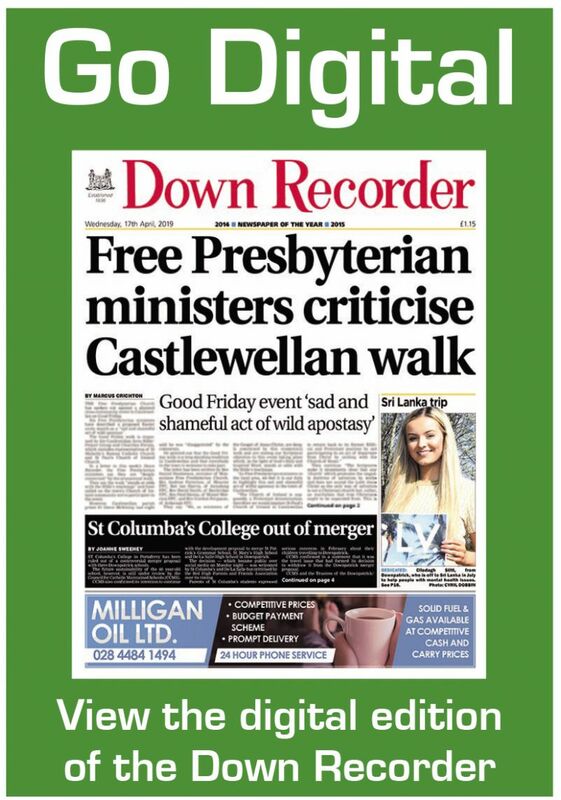 The shocking incident has been condemned by South Down MLA Colin McGrath. “This was a particularly wicked attack on two women in the safety of the home,” he continued. “The fact that a child was present in the house at the time too shows that the attackers had scant concern for anyone. Mr McGrath said his thoughts remain with those involved in the weekend attack which he said must have been “frightening and violent”. A police spokesman said a fresh appeal for information had been issued following the weekend incident, confirming police received a report about the incident just before 9:25pm and that three masked men forced entry into the property. “It was reported that one of two women inside the house, aged in her 30s, was assaulted and beaten with a baseball bat, sustaining injuries to her head and body,” confirmed the spokesman. The spokesman said police enquiries were at an early stage, with officers keen to hear from anyone who may have been in the Dunmore Road area between 6pm and 9pm last Friday evening and noticed any suspicious activity. Anyone who believes they can help is asked to contact detectives using the non-emergency number 101, quoting reference number 1307 of 02/11/18. Information can also be provided anonymously using the confidential Crimestoppers number, 0800 555 111.